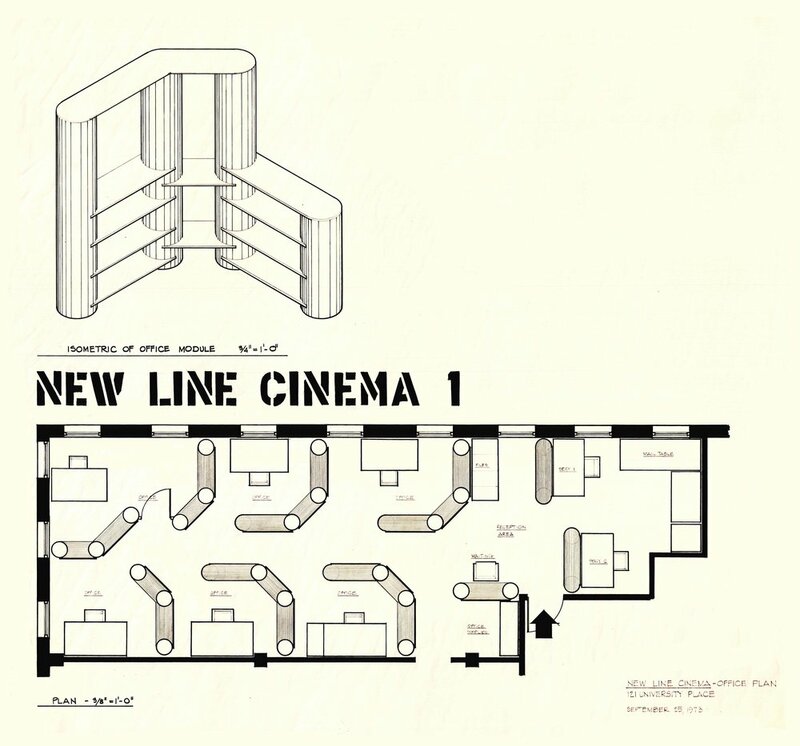 Located in a small office in Greenwich Village, NYC, New Line cinema began life renting a series of art films by artists such as John Waters to college film societies. 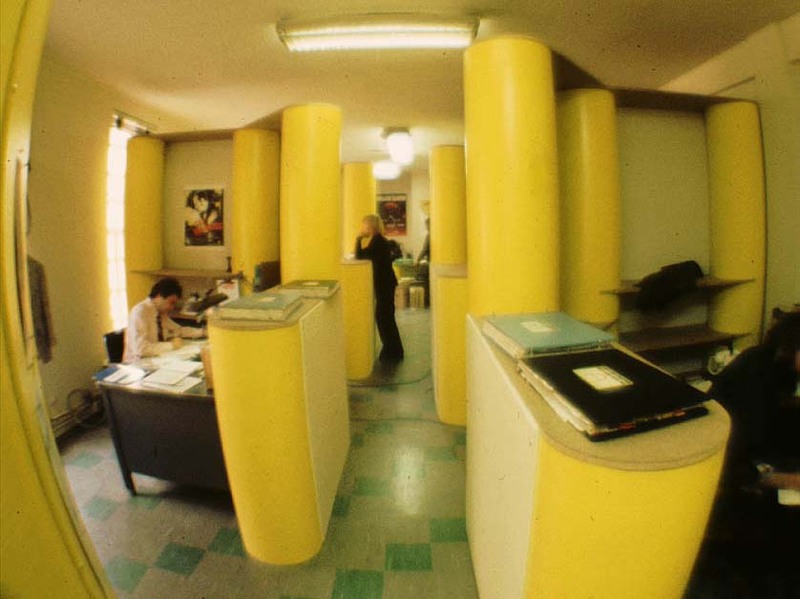 Their budget for a series of privacy and storage "cubicles" was minuscule, so we proposed to build a series of privacy cubicles using cardboard tubes as large as Sonotubes that could hold shelves and create privacy for each occupant. Later, the move to larger quarters around the corner used somewhat more conventional materials in a much larger space.